The company offers a comprehensive, environmentally-friendly oven valeting service to domestic and commercial customers. Founded by Rik Hellewell, Ovenu has been an established franchise network for more than 20 years, which provides franchisees with a proven, tried and tested business model. 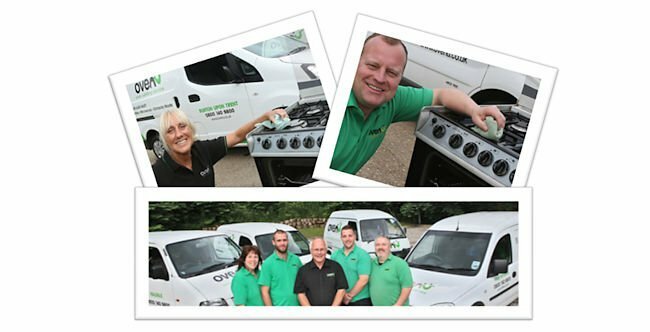 Under his leadership, Rik has developed Ovenu from a ‘one man and a van’ operation into the world’s largest network of oven cleaning and valeting experts. All of its cleaning products are biodegradable and conform to the latest Government REACH regulations. The company’s Carbon Remover is also approved by the Vitreous Enamel Association. The Ovenu valeting process involves dismantling key components of an oven and placing them into design-registered equipment, which uses non-caustic products to clean the parts. A locally-based Ovenu franchise allows franchisees to work with the company, rather than for them. It provides them with the opportunity to manage their own schedules and enjoy a work-life balance that suits them. Through hard work, determination and following the tried and tested formulas, there is potential for an Ovenu franchise opportunity to turnover in excess of £1,100 per week, with scope for further growth through sub-contracting and having more than one van on the road. An Ovenu franchise provides the right person with the opportunity to run a sustainable small business, a comprehensive training programme, as well as continued head office support and the opportunity to network with other franchisees at regular meetings.